While temperatures are still moderate in most locations across the United States, by mid November, temperatures in many northern states will be well below the freezing mark. Keeping workers safe during sub-zero conditions is challenging, but there are steps that employers can take to ensure that plummeting temperatures don’t lead to a freeze in production and more importantly, don’t result in a workplace violation. As the US Department of Labor clearly states, “It is important for employers to know the wind chill temperature so that they can gauge workers’ exposure risk better and plan how to safely do the work. It is also important to monitor workers’ physical condition during tasks, especially new workers who may not be used to working in the cold, or workers returning after spending some time away from work.” In this article, we answer three key questions: How cold is too cold for work? What are the dangers of working during cold weather? And finally, what steps can employers take to protect workers during the winter months? How Cold is Too Cold for Work? In many respects, cold is a matter of perspective. In New York City, schools open their doors early on mornings when the temperature dips below +32 so children aren’t left waiting outside in the cold. By contrast, only six hours north in Montreal, Canada children typically wait outside for the bell to ring even in -35 degree whether. North of the border, children also typically spend their recesses and lunch breaks playing in subzero temperatures. However, despite the extreme tolerance many Canadians appear to have for the cold, the nation has come up with guidelines to regulate outdoor work during the winter months and many of these guidelines have also been adopted in the US. According to the Canadian Center for Occupational Health and Safety, “In Canada, there are no maximum exposure limits for cold working environments.” Somewhat surprisingly, the same holds true in the US, but on both sides of the border, there are guidelines regulating under what conditions and for how long work can be carried out during extremely cold conditions. Indeed, the American Conference of Governmental Industrial Hygienists (ACGIH) and Occupational Safety and Health Administration have both adopted a “work warm-up schedule” (originally developed north of the border by the Saskatchewan Board of Labour) as Threshold Limit Values (TLVs) for cold stress. As outlined below, the threshold limit values are based on two factors: temperature and wind chill. While temperature is a relatively straight forward concept, wind chill (in some regions of North American, this is known as the “wind chill factor”) is a measurement that is meant to reflect what the air temperature feels like against the skin under different conditions. The Canadian Center for Occupational Health and Safety defines the wind chill temperature as follows: “a measurement of a heat loss rate caused by exposure to wind and it is expressed as the rate of energy loss per unit area of exposed skin per second (e.g., joules/[second-metre2] or watts/metre2, W/m2).” When it comes to working outdoors in cold conditions, the wind chill temperature is important because it drastically changes the length of time that it is considered safe for workers to remain outdoors. In short, the lower the temperature and higher the wind chill factor, the shorter the work period and more frequent the breaks required to keep work moving safely. In addition, as the temperature drops and the wind increases, the threshold for continuing non-emergency work is altered accordingly. In other words, while non-emergency work may continue up to -44 without a wind chill, with a wind chill, non-emergency work should cease at -25 to -29. What are the dangers of working during cold weather? Immersion or “Trench Foot”: Still sometimes called “trench foot,” because it was a common ailment among soldiers during World War I and World War II, immersion is a non-freezing injury caused by prolonged exposure to cold and wet temperatures. Indeed, even in relatively warm temperatures, wet feet lose heat at a rate 25 times faster than dry feet. Common symptoms include reddening, tingling, swelling and numbness. While seeking medical help, it is critical to replace wet socks and boots with dry ones. Frostbite: The most common of cold weather problem is frostbite, which is caused by the freezing of skin and tissues. At its most severe, frostbite can lead to permanent damage and even amputations. Signs of frostbite include reddening skin subsequently turning gray or white, tingling, aching, loss of feeling and in some cases, blisters. Contrary to popular belief, do not rub the affected area. Cover it in a dry cloth and keep it out of the cold but do not try to re-warm the area prior to medical treatment—rapid re-warning may increase the long-term damage. Hypothermia: Hypothermia is a condition that occurs when the body temperature drops to less than 95°F. When exposed to cold temperatures, the body loses heat faster than it can generate heat. In cases of prolonged exposure to cold, one eventually uses up their body’s stored energy, resulting in hypothermia. The most common symptom of hypothermia is uncontrollable shivering; other symptoms include confusion, slurred speech and a slow heart rate. In cases of hypothermia, move the worker to a warm area and seek medical attention immediately. 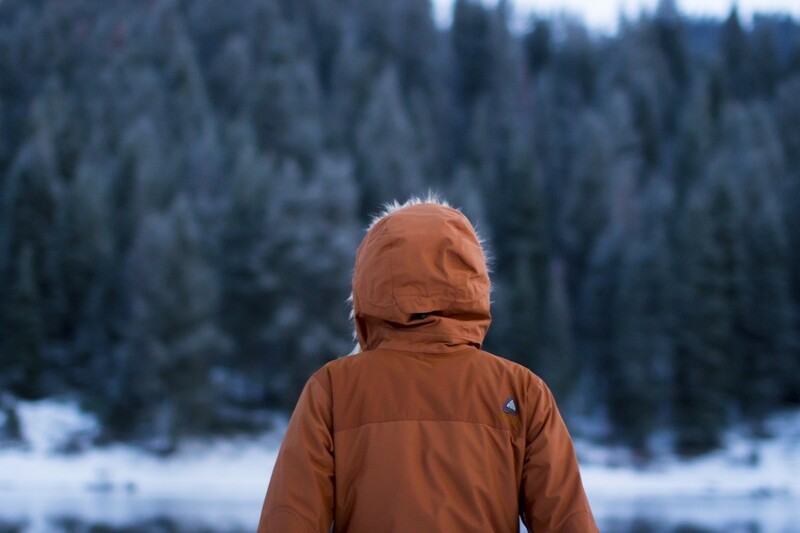 What steps can employers take to protect workers during the winter months? Provide Shelters: Continuous work in cold temperatures should take place in shelters (e.g., if it is safe to build a wind shelter around the work area without compromising safety, do so). If not, provide a shelter nearby so workers can warm up during frequent breaks from the job at hand. Modify Equipment: When working below freezing, cover all metal handles and bars with a thermal insulating material. Where possible, ensure that tools and machines can be operated without the removal of gloves to avoid contact with cold metal. Monitor Temperatures: Ensure your work crews have the equipment needed to monitor both temperature and wind speed, and that they are aware of the Threshold Limit Values Work/Warm-Up Schedule (see the chart that appears earlier in this article). In addition, supervisors should receive training so they can make informed decisions about when to issue breaks and/or cease work and stay in compliance. Put Emergency Procedures in Place: In the event that someone does suffer frost bite or hypothermia or another cold related injury, have a response plan in place (e.g., ensure at least one person on every shift has been trained to deal with cold related first aid emergencies). Provide Extreme Cold Training: Training is the best way to ensure that a cold related emergency never happens and if it does, that it doesn’t become dire. Provide proper training to workers and supervisors alike on how to work safely in cold environments. For starters, see eLeap’s course catalog, including its course, Working Safely in Cold Weather.